As the holidays draw near and the new year approaches, there’s one important thing you must focus on between cups of cheer and gift wrapping: your content marketing plan for 2016. Planning is crucial for a successful year of marketing, so it’s never too soon to think about your content. But sometimes it’s difficult to identify just where to begin. 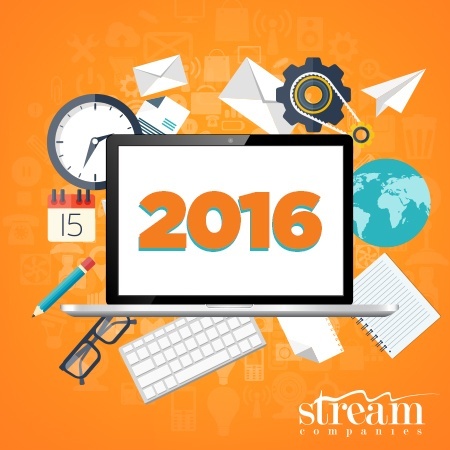 Check out these tips to help you get started on your content plan for 2016. You want to move forward each year in order to grow as a business. Start by looking at the wins and losses you experienced in 2015. This will allow you to identify what worked for your business and what didn’t. Use this data to create a solidified content plan and propel your business’ results. The whole point of creating a content plan is to help you reach your goals for the year. In order to do this, you need to identify what they are. Utilizing your business’ overall objectives, determine what you want to achieve in the new year and what you think you can accomplish. Be as specific as possible wherever you can when outlining these goals, such as a 10% increase in leads. While you’re establishing your goals, revisit your target audience. With the marketing technology available, it’s possible to tailor each campaign to your audience and classify them into different segments to effectively establish relationships with each group. Get an understanding of the audience that you’ve reached over the year or how your audience may have changed so you can adapt your marketing accordingly. After you’ve made a plan about what you need to achieve over the next year, it’s time to figure out the steps you’re going to take to properly execute this plan. Figure out what types of resources or programs you’ll need to get the job done. Create specific tasks to be completed every week or every month to help you reach your goals. As you’re creating your plan, be sure to schedule meetings or strategy sessions throughout the year so you can review the progress that your business has made in 2016 thus far. Are you staying on track with the plan? Are your tasks being accomplished properly and on time? Have any of your goals been met or are you on your way to reaching them? By having these types of check-ins, you’ll be able to gauge just how effectively your plan is working. If email marketing is a part of your content plan for 2016, you’ll want to make sure that your emails are responsively designed so your customers can view, click, and shop quickly and easily. Click here to download our ebook Top 5 Reasons to Go Responsive with Your Email Marketing Campaign and learn how to implement a responsive design for your email campaign to increase your views, clicks, and subscriber rates.